Life is more reliable and stylish with the Brio. 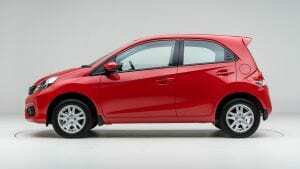 This is the tagline for the very popular compact car, the Honda Brio; now with stylish revamp and added features, the Brio has caught the attention of the first-time car buying market and made a big name for itself. Checking in with the team from BB Honda Zambezi, I am eager to learn more about their best-selling vehicle. Under the capable leadership of Danie Engelbrecht, the Dealer Principal, BB Honda Zambezi have made a name for themselves in the Pretoria community. With 18 years of motoring industry experience, Danie’s love for motoring is what drives him daily. With a background in aftersales, Danie has worked his way up in the industry and has now been with the BB Motor Group for 12 years. Danie sees himself as an avid supporter of the Honda brand. 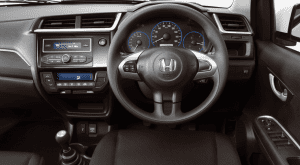 Noting its reliability and having witnessed first-hand the evolution in the Honda brand, he believes that Honda is indeed moving forward to bring a more modern, technologically advanced and innovative product to the market. Proud of the fact that this Dealership is seen as a safe and homely place for his client, Danie and his team strive to make every person who enters their dealership feel welcome. New Car Sales Executive, Suzette Engelbrecht, has the distinct honour of being trained and equipped in this industry by the BB Motor Group 4 years ago. With a love for people and a passion for selling cars which she notes has been passed down to her from her father, who was a salesman for many years, Suzette always wanted to be in this industry. With a drive to move to management one day, Suzette is excited about sending happy customers out of the dealership and notes the importance of helping clients see what it is they need, and not what they think they need, which is a privilege she as a saleswoman has. Her opinion on the brand is that it is known for being reliable and now, with the focus on innovation and modernity, feels the amazing fleet of vehicles available need to be showcased to be fully appreciated. At a recent test drive day in May, the Dealership experienced the great response to the refreshed Brio. Now with numerous upgrades, the Brio’s exterior has also been updated. 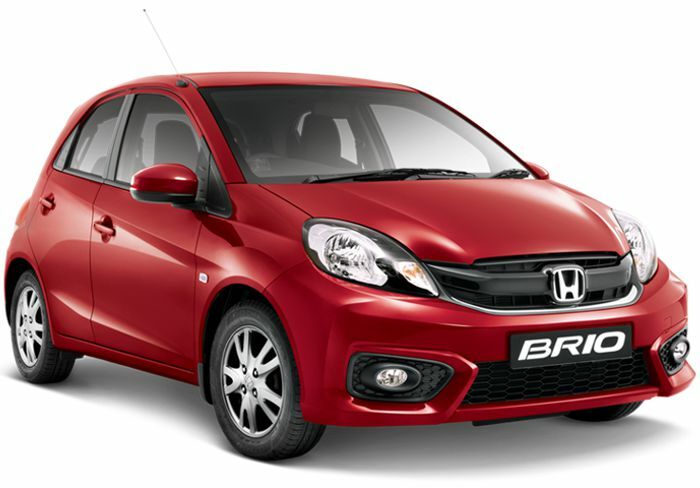 The Hatchback Brio has a cheeky front with an assertive grille, identifying it as a Honda vehicle. It has a great, solid stance with widely spaced wheels that not only give it an attitude of athletic ability, but also provide increased stability and handling when driven. The rear is distinctive with its black inlay, futuristic taillight design and sporty lines that speak of its nippy nature. 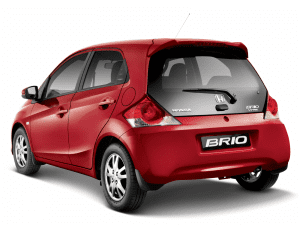 There are three Brio derivatives, with the 1.2 Trend being the entry-level variant and the 1.2 Comfort Auto as the top of the range version. Although it has 2 airbags as standard, as well as aircon and quality cloth-upholstery, it is released only with Bluetooth radio (no touchscreen or Sat Nav options) and various easy-to-reach cupholders and bottle holders. This variant is released with Mag wheels as standard, ABS, EBD, power side mirrors and tilt steering wheel, which is generous for this class. Being in the compact segment, space is a luxury, and whilst there definitely isn’t extra to go around, the driver and 3 passengers have sufficient leg and head room for a relatively comfortable drive. The cabin itself looks great and is really well laid-out, and as far as compact vehicles go, has a great effort made towards keeping the dashboard looking and feeling premium. Boot capacity is quite minimal, at only 161 litres, but this is not something one would buy a compact hatch for in any way. Boasting a 1.2 i-VTEC engine, the Brio delivers 65 kW of power and 109 Nm of torque and has great fuel consumption listed as one of its many great qualities: 5.6 litres per 100 kilometres is what Honda notes the Brio achieves, and this will undoubtedly benefit your pocket at the end of the day. Priced at R191 000 in general, Honda Zambezi are currently running a promotion on this excellent little vehicle by pricing it at R188 900, inclusive of a 2 year/ 30 000 kilometre service plan. The price, design, features and efficiency of this dynamic little vehicle make this an ideal first-time buyers car. With better safety ratings (thanks to advanced design features and two airbags, which is more than most vehicles in this segment) and sufficient features to keep the younger buyers happy, I envision this being the perfect student car, where costs are kept low and the reliability of the brand provides additional peace of mind for many hundreds of safe kilometres. Once again on home turf at the Dealership, I am thrilled to know that Dealer Principal Danie Engelbrecht is brimming with excitement and positivity about the future of BB Honda Zambezi. Having taken over management of this Dealership since September 2015, BB Honda Zambezi has grown from strength to strength. Offering dedicated aftersales services, a workshop and parts department, this Dealership remains dedicated to providing affordable vehicles to the public with contentment that their clients are being provided with quality products and services.